there is already a airplane icon in your battle screen just look closer. yes that was in the original post if you read carefully you will see it. You understood what I asked? On the WARS page the Full Scale and the Epics are marked by an icon. Also the determination and the COs are marked there. Your answer brings zero information to my question so I prefer an admin to read the question and give me a proper answer. I am also concern about multi-accounts. Because they will have a lot to make with the update and I don't see that there would be a new policy or better control of them. We are now living in a world where we send a ticket to report people like for example this: http://www.erepublik...profile/9011196 and admins says he is ok, every election, with 10 to 20 accounts per election. This may escalate even further. your apparently a numpty look at my previous posts. the normal data are shown such as determination and points. now rephrase your question as your wasting our time here. That answers : The aerial rounds will be marked by an icon like epics are? Edited by Releasethe Krakken, 19 July 2016 - 02:34 PM. the question below is not what you asked originally and Im giving the admins instructions to disregard this as apparently you want to play games here. to answer you wait and see. in all likelihood they will implement all that your asking. if you followed their progression at first one had to select country and region and pick from a list to navigate to Holding Companies I wanted to suggest quick navigation but they probably picked up on it and implemented it. So a normal programmer would show this a erep developer might or might not but eventually will come to the obvious and implement it. Edited by Releasethe Krakken, 19 July 2016 - 02:43 PM. also perhaps take a refresher english course and ask the teacher what an icon is. as you can see there is on the battle page also an icon for airplane battles. Hey Releasethe Krakken, had too much coffee today? While I don't know whether my response will be of too much help to you, I'll still post just in case no admin is going to give a statement by tomorrow. Upon opening the wars page, your browser requests a file from the eRep servers which provides your browser with a list of the current campaigns, their timer, participating countries, determination and so on. This list also includes information on whether campaigns are being fought on land or in the air. So you'll most likely be able to see aerial warfare in your campaign overview; in the unlikely case that eRep doesn't provide this "feature", it could be added via script. It is nice that your English is that perfect, to help you to understand what is the question. In this case you are just wasting everybody's time making reply about things you don't know. Please read what is the purpose of the forum and the Topic, before making "smart" explanations! that was not his original question which i answered look before that for his original question. that was not his original; question he adjusted his question after the original was answered . most of the time he is just being an a* to me so i just gave him back some of his own medicine. Noexero is an arrogant player and not a very likeable person. the admins need not answer questions by such players. ask your question with enough detail so that you get the answer you request dont just bark 7 words at a thread and complain when your question was correctly answered but that was not the info you sought. Edited by Releasethe Krakken, 19 July 2016 - 05:27 PM. Did they really post an announcement for the changes and link towards the forum theme IN THE FORUM? Right above the other forum theme as well. Buy gold and shut up! Yesterday saw guy with 4,638,599,434 damage in 1 division. This division switching was also and during resourse war, but it was pretty much more normal allowing only deal as highest that's division player in battle - that was not so uber powered. That I currently see - is insane. I guess that you made good money from "Maverick pack", but you also made "infantry pack" useless and noone now will buy it. It is also was the final step for no new players coming to this game. it looks like that only battles that started after the day change are counted, as in if a campaign started right before the day change, the first air battle would be the 5th battle of the campaign (4th to start after the day change), can someone verify or do we have to wait and see for ourselves? 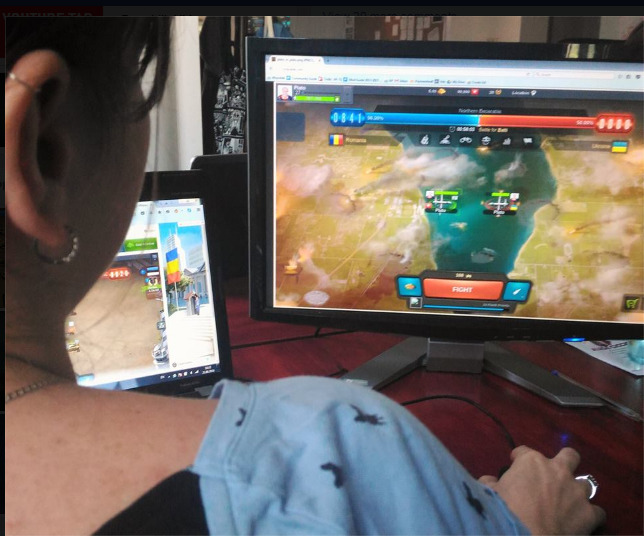 Can someone verify if air battles will be inditaced by certain marker on wars -page? Edited by apez, 20 July 2016 - 08:05 AM. Can we fight in air battles without aircraft, just like ground battles without a weapon?